Being a nanny is a career that offers flexibility and the ability to work creatively and independently. Nanny pay can be quite comfortable and provide a nice lifestyle. 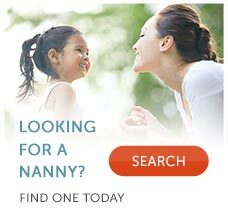 These days most parents work full-time and many families from all income levels are in the market to hire a nanny. As a nanny, your nanny salary will depend both on your qualifications and your willingness and competence in completing tasks such as housekeeping, helping with homework, and even tutoring. For an up-to-date look at nanny pay take a look at the 2010 nanny salary survey from the International Nanny Association. Nanny salaries vary widely depending on where the nanny job is and the experience of the nanny. In many areas part-time nannies are in high demand and therefore demand higher pay. Part-time nanny pay is from $7.25 to $25.00 per hour based on experience, location, education and other factors. Full-time nannies are usually paid weekly. Depending on experience and what part of the country the nanny job is, wages can range from $300 a week for live-in nanny wages with no or little experience to $1000 weekly for a nanny with years of experience. Live-outs make nanny wages of $350 to $1000 per week. For example a nanny salary in NYC is going to be much higher than in a lower part of the country. Owning a car and driving will help you find more jobs at higher salaries. Discuss the terms of employment carefully and make sure that you know what is expected of you and what additional perks you will receive in addition to your nanny salary. Some families may suggest paying a lower rate per hour, but will provide you with a car or subsidize your travel expenses to make up for it. Families who want you to organize a comprehensive program of activities for their children, or who want you to run errands or do housecleaning will also be willing to pay more for your services than parents who simply want you to care for their children. Think carefully about what types of nanny services you are willing to provide, and what hours and salary range you are willing to work for. Finding an employer who will match your expectations will make your nanny job much more comfortable for you.